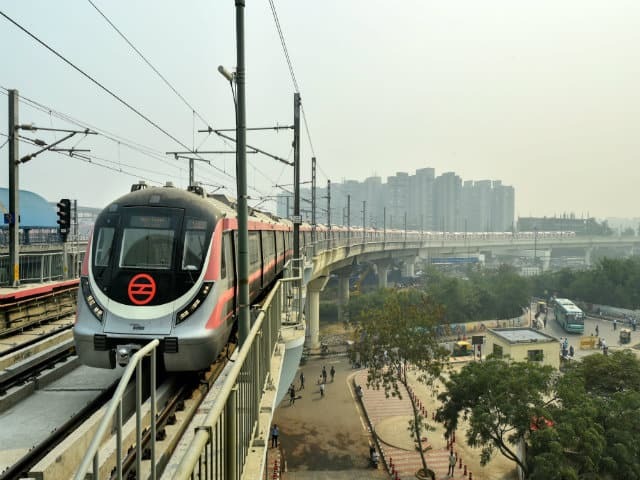 A train on the Pink Line of the Metro arrives at Anand Vihar station during a media preview of the Trilokpuri-Sanjay Lake-Shiv Vihar section, in New Delhi, on Monday. According to a DMRC official, the Shiv Vihar-Trilokpuri-Sanjay Lake section of the line will be formally flagged off for passenger operations on October 31 by Minister of State (Independent Charge) for Housing and Urban Affairs Hardeep Singh Puri and Delhi Deputy Chief Minister Manish Sisodia. Previous Post Previous Post India Vs West Indies: We got him!